odern nursing has been around for several hundred years, well before the development of the digital age. While many classic nursing supplies (nursing scissors and tape, bandages, tourniquets, etc.) don’t require the use of technology, the newest generations of items do—and they make nurses’ lives much easier. Even traditional analog devices, such as thermometers and blood pressure monitors, have gotten a digital makeover in recent years, while other new devices are wholly dependent on electronics and digital technology. 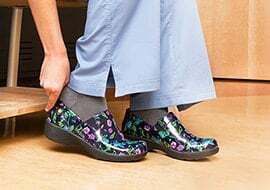 Read on to discover 14 electronic nursing supplies that make nurses’ lives better in ways large and small, from ophthalmoscopes to mug warmers. Ever tried to listen to a patient’s heartbeat in a loud clinic, and couldn’t get a clear reading because of all the ambient noise? 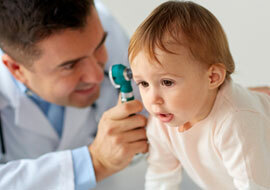 Electronic stethoscopes were designed to solve this problem by reducing background noise. 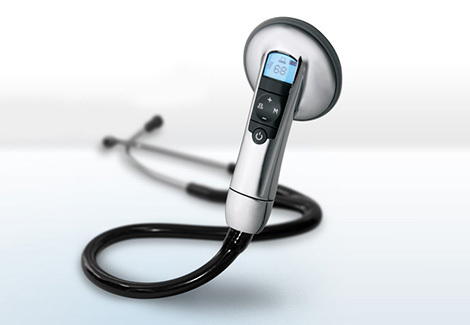 For example, the 3M™ Littmann® Electronic Stethoscope Model 3200 can eliminate up to 85 percent of background noise and amplify sounds up to 24 times. This particular model stores 12 thirty-second tracks onboard the stethoscope, along with a 10-second comment to notate the sound. 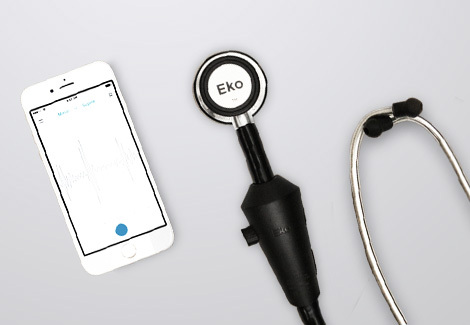 The Eko Digital Stethoscope offers a bit of a different twist, with an accompanying smartphone app to complement the stethoscope itself. And the One Digital Stethoscope does away with the tubing entirely and instead allows you to plug in high quality headphones or connect to a hearing aid to listen to the sound. This device offers up to 100 times amplification, as well as the ability to adjust what frequencies you want to hear. Whatever electronic stethoscope you choose, you’ll need to charge it regularly, so keep that in mind. Yes, the trusty old ophthalmoscope has been brought into the 21st century. Welch Allyn, the premier manufacturer of medical diagnostic kits, offers a smartphone attachment that can turn any PanOptic Ophthalmoscope into a digital imaging device. This attachment allows you to mount your smartphone on the ophthalmoscope and then connect to the iExaminer app. This app allows clinicians to capture high resolution pictures of the fundus and retinal nerve and then store the pictures to a patient file or email and print them. The newest version of the app allows the users to apply a grayscale, high-contrast or red-free filter to an image during viewing or sharing, zoom up to 5x when capturing or viewing an image, search for a previously saved exam on the saved exams screen and more. Unlike some other devices on this list, digital thermometers have been around for years, and are often a staple item among nursing supplies. The classic thermometer goes into the mouth to give a reading of body temperature, but there are even more advanced versions available that don’t require touching the patient at all. These are usually referred to as forehead thermometers or non-contact thermometers, and you simply point them at the patient from the distance of a few inches to take a reading. Non-contact thermometers cost more, but the classic digital thermometers are quite cheap and come in a variety of colors and styles to suit every nurses’ tastes. Pulse oximetry measures how much oxygen (specifically, oxygenated hemoglobin, SpO2) is in the blood to help clinicians determine whether or not the patient needs additional oxygen. Pulse oximeters are non-invasive and use light to measure how much oxygen is in the blood–no sticking with a needle required. To grossly simplify things, pulse oximeters pass two wavelengths of light (red and infrared light) through the body into a photodetector, which measures the changing absorbance at each wavelength. Deoxygenated hemoglobin absorbs more red light, while oxygenated hemoglobin absorbs more infrared light, indicating how much oxygen is in the blood. The pulse oximeter then gives a reading on a digital display. The device may be clipped on a finger, wrapped on a wrist or held in the hand. For more information about pulse oximeters, check out our comprehensive guide. Blood pressure monitors, a.k.a. sphygmomanometer, are second only to perhaps stethoscopes as one of the most important devices that every clinician needs. 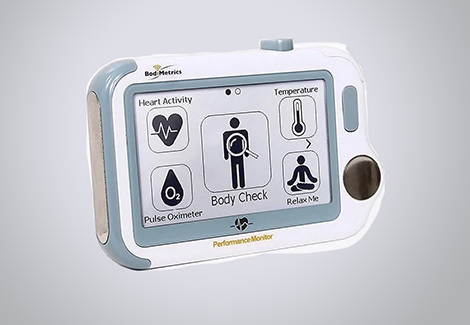 Automatic blood pressure monitors, also called digital sphygmomanometers, use oscillometric measurements and electronic calculations to determine blood pressure. The device measures vibrations in the arterial wall caused by pumping blood and then converts those into electric signals. This technique means that you don’t need to use your stethoscope to take a reading, making it easy to use in noisy environments. 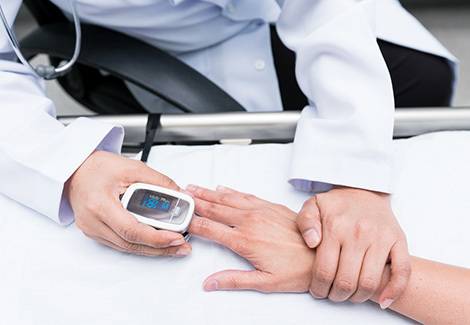 Digital sphygmomanometers are usually pretty accurate at measuring mean blood pressure and pulse, but they don’t do well at measuring systolic and diastolic blood pressure when compared to other versions of blood pressure monitors. Blood glucose monitors are a familiar sight to diabetes patients everywhere, as these devices provide super-fast readings of blood sugar levels. The readings can help you identify if the patient is suffering from hypoglycemia (not enough blood sugar) or hyperglycemia (too much blood sugar), both of which are risky for diabetes patients. After using a lancet to obtain a blood sample from the patient, apply it to the glucose test strip and insert the strip into the monitor. In just a few seconds, the device should return a reading of the patient’s blood glucose levels on its digital screen. The humble watch is a critical part of any nurse’s daily ensemble, especially since many facilities ban the use of phones while on the job. While classic analog watches are of course available, digital watches make it super easy to tell the time in a single glance. 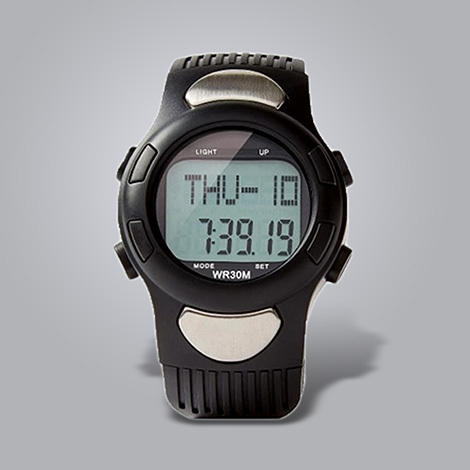 Digital watches often come with enhanced functionality, including multiple display modes (such as date, weekday, hour, minute and second in 12- or 24-hour mode), custom alarms and/or hourly alerts, stopwatches and countdowns and split time functions. Some more advanced monitors will even measure your heart rate and track your steps with a pedometer. Can an analog watch do that? Of course, you could take things one step further and get a true smartwatch or fitness tracker to fully measure all of your health variables. 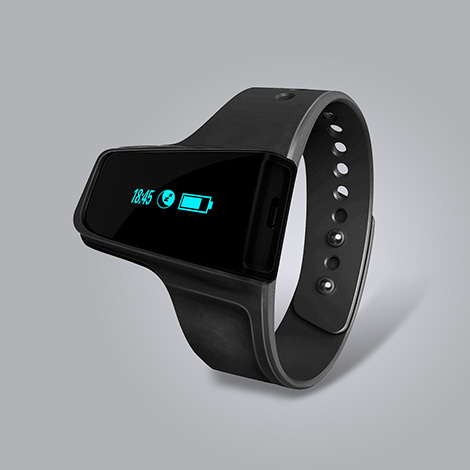 Depending on what type of tracker you get, the device can measure distance walked or run, stairs climbed, calories burned and even sleep quality in addition to heart rate and steps taken. Smartwatches offer even more functionality, including message notifications, calendar reminders and GPS navigation. Make sure to buy a model that is waterproof, just as you would with a regular watch. It’s also a good idea to double check that fitness trackers and/or smartwatches are allowed at your facility, since these devices aren’t a small investment. Nurses stand all day—but that doesn’t mean they’re standing correctly. Besides high-quality supportive nursing shoes, good posture is one of the main ways to help prevent back and neck pain from developing. There are several brands of posture sensors available. They attach to your clothing or skin and then give you a gentle buzz if they sense you slouching. The sensors also sync to accompanying smartphone apps to help track your posture over time and measure your progress. These sensors don’t hamper your range of motion at all and instead just give you a gentle reminder if your posture starts to deteriorate. If nurses were cars, their gas would be coffee, and many clinicians find it difficult to get through a long shift without their alertness diminishing unless they have a cup of joe partway through. However, nurses are always getting called away to deal with one thing or another, and often come back to the lounge or their desk only to find that their cup of coffee has gone cold. A simple mug warmer can help solve this problem. This electric disk plugs into an outlet or USB port on a computer and emits just enough heat to keep your coffee (or tea) at the perfect temperature. No nursing supplies stash is complete without a handful of clicky pens. However, it might be worth upgrading to a smart pen if you need to improve your note-taking game. Depending on the type of smart pen, you can either record lectures and meetings to play back later or convert everything you write or draw on paper into a digital file that is viewable on your phone, tablet, computer and more. Given the rapid advancements in technology, pretty much all of these smart pens are just about the same size as a regular pen, so writing with them won’t fatigue your hand during a long shift of taking notes. If you’ve always wanted the best of both worlds–digital and paper–a smart pen could be your solutionn. Some people swear by paper planners, but they can make it hard to update your schedule if something changes. However, few general digital calendars (Google, Apple, etc.) 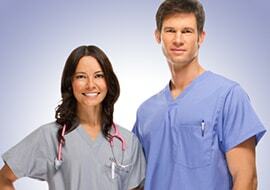 are built to accommodate the specificities of nurses’ schedules. 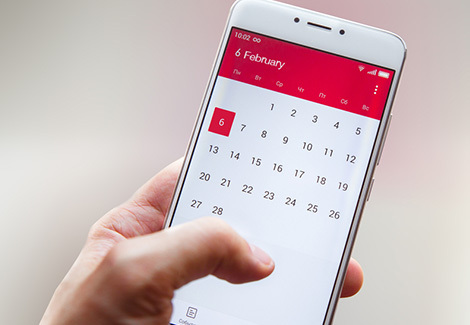 Thankfully, some developers have created calendar apps just for nurses, such as NurseGrid and MyDuty. These apps let you add shifts from multiple facilities as well as personal events, communicate with others in your work group via messages, export your nursing schedule to external calendars and more. These apps can change managing your schedule from painful to painless as soon as you get all your information imported. As a nurse, you have a lot of things to remember at all times, and it’s easy to misplace your phone or your keys during times of stress. If you’re constantly losing important items, you should consider getting a set of GPS tracking devices to attach to them. These devices hook onto keys and bags and slide into wallets so that important items will never go missing again. If you can’t find something, open the related smartphone app and activate the tracker, which will cause the item to beep until you can locate it. The reverse of the process also works, so you can press the tracker attached to your keys (for example) to make your lost phone ring. Even if you can’t use your phone during your shift, do you still feel like it’s bringing germs back to your house? This feeling isn’t just in your head. Whether or not you work in a hospital, your smartphone is 10 times dirtier than a toilet seat, (yes, you read that correctly). Simply wiping the device down with a wet cloth doesn’t always feel like it’s going to cut it, especially if your phone has been exposed to a lot of germs recently. If you’d like to give your phone a more thorough cleaning, consider getting a smartphone sanitizer, a device that uses ultraviolet lights to clean the phone as it charges. 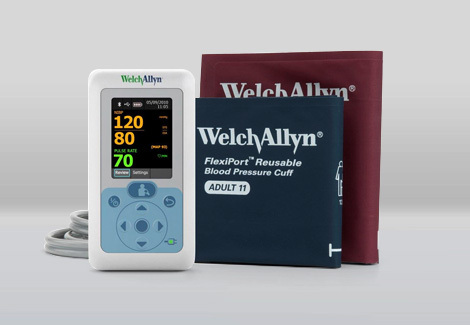 Of course, there’s always a bit of a learning curve every time you try out new technology, but in the long run, electronic nursing supplies like these can make your nursing work go much faster and easier. While you certainly need some of the traditional “offline” nursing supplies, such as bandages and scissors, it’s worth looking into digital upgrades for some of your most well-used devices like stethoscopes, blood pressure monitors and even clicky pens. Making an initial investment in electronic nursing supplies upfront will pay dividends later. After all, the digital revolution is here to stay in the nursing world and beyond.